Lian Li presents the PC-V353 and the PC-Q25, two new aluminium cases for SFF systems. 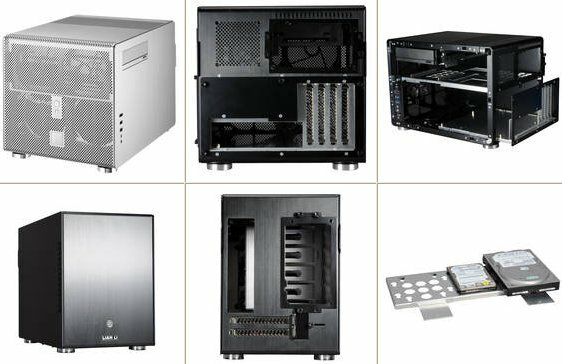 Lian Li Industrial Co. Ltd, maker of high-end, all-aluminum computer chassis for over 13 years, is proud to announce the release of two new PC cases: the HTPC PC-V353 and Mini-Tower PC-Q25. A new edition to Lian Li's HTPC chassis series, the PC-V353 features a handsome front mesh design and is available in eye-catching black or silver. The aluminum-front mini-tower PC-Q25 offers a contemporary design that lends itself to any professional or home environment, and is available in black and silver colors. Both of these models offer impressive engineering, the convenience of tool-free installation, and excellent air-flow.